Old Watchmaker Studio. A watch makers work top. 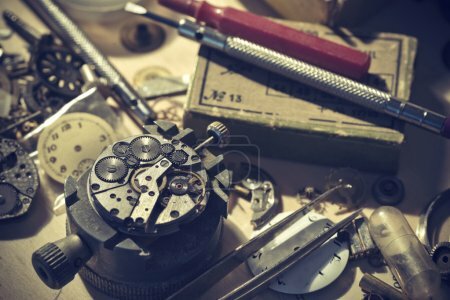 The inside workings of a vintage mechanical watch.